NASA announced today that they’ve found the closest cousin to Earth to date as a result of their exoplanet-hunting mission, Kepler. The planet, called Kepler-452b orbits around a slightly larger and older star about 1,400 light-years away in the constellation Cygnus. The planet has a good chance of being rocky and capable of pooling water on its surface—two components that are very important for life as we know it here on Earth. 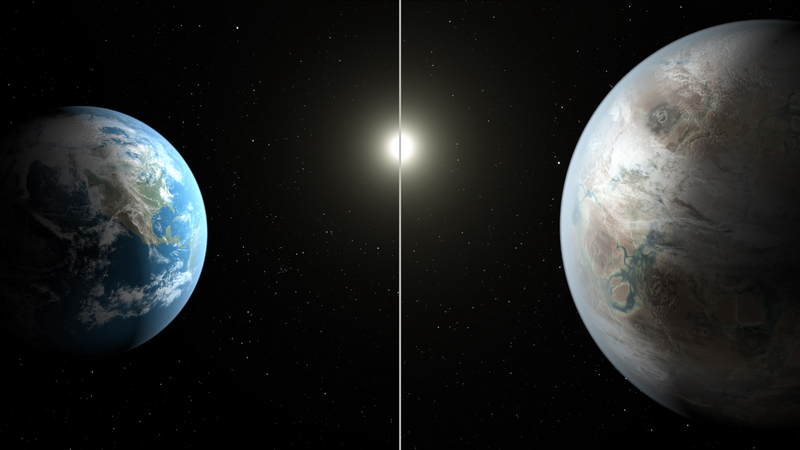 The planet orbits its star in what’s known as the “habitable zone,” or a distance from the star that hits a happy medium between not-too-hot and not-too-cold. But not only that, the planet’s orbit is a mere 5 percent longer than that of Earth’s and it’s only about 5 percent farther away from its star as Earth is to the sun. 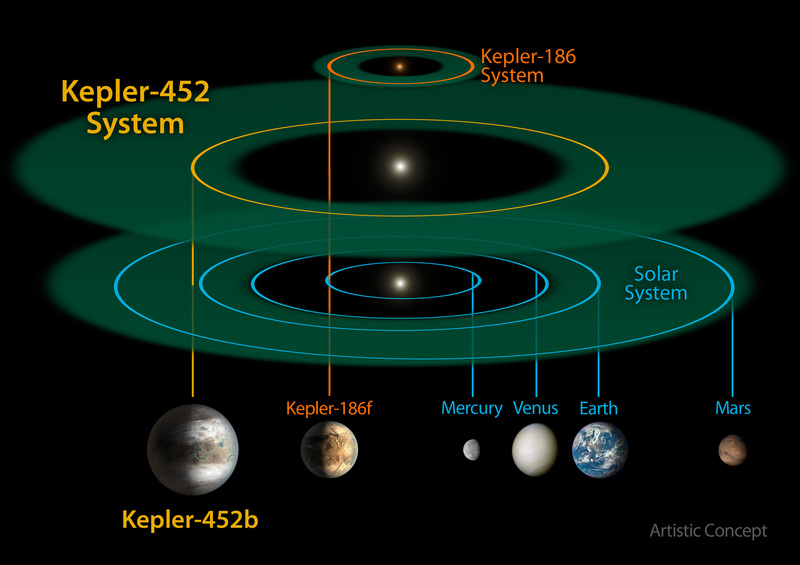 Kepler-452b is 2 billion years older than Earth, with about five times the mass and twice the gravity. Researchers speculated in the press conference that the planet likely has volcanic activity and a good amount of cloud cover. “This exciting result brings us one step closer to finding an Earth 2.0,” John Grunsfeld, associate administrator of NASA’s Science Mission Directorate at the agency’s headquarters in Washington said in a press conference. But researchers say that it can help us understand the evolution of our own planet. 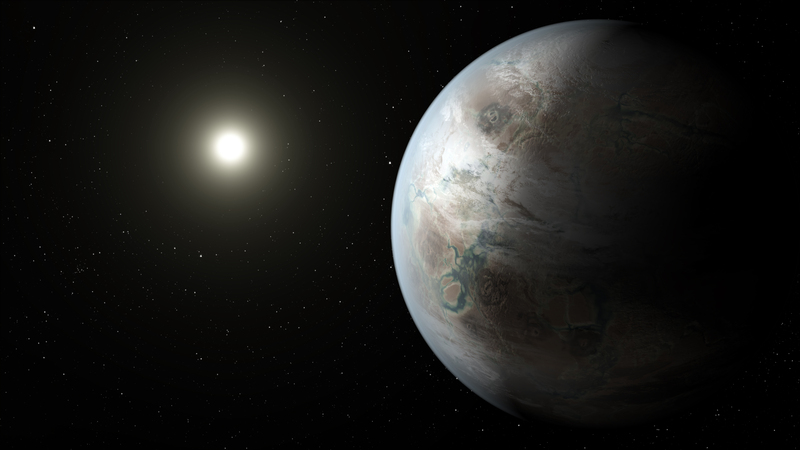 We can project what will become of Kepler-452b as it eventually becomes inhospitable to life, and use that model to predict the fate of our own rocky planet home. The team also announced that they had increased the number of Earth-like exoplanet candidates by 521. The full catalogue of exoplanet candidates is publicly available at NASA’s Exoplanet Archive. Researchers are able to determine the size of the exoplanets and their distance from the star by carefully observing the amount of light they obfuscate when passing between their host star and Earth. It takes a lot of skill to find an exoplanet, but citizen scientists can help by sifting through Kepler’s incredible backlog of potential planets and doing some planet hunting of their own. As technology improves, perhaps we can expect to see even closer cousins to Earth than 452b.